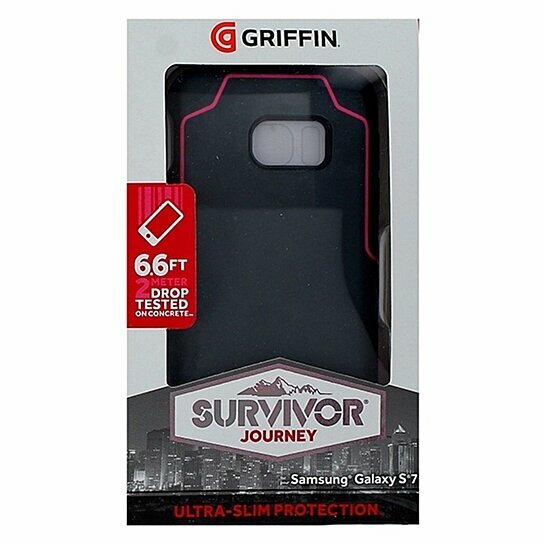 Survivor brand products, the Journey Series Hybrid Case for Samsung Galaxy S7. Gray rubber exterior with a pink hardshell frame and trim. Multi-layered shell deflects impacts, scuffs and scratches. Meets military drop standards up to 6.6 Ft.